Djabe celebrated its 15-year anniversary in 2010. The occasion was celebrated by a concert organized for the band by the Palace of Arts. 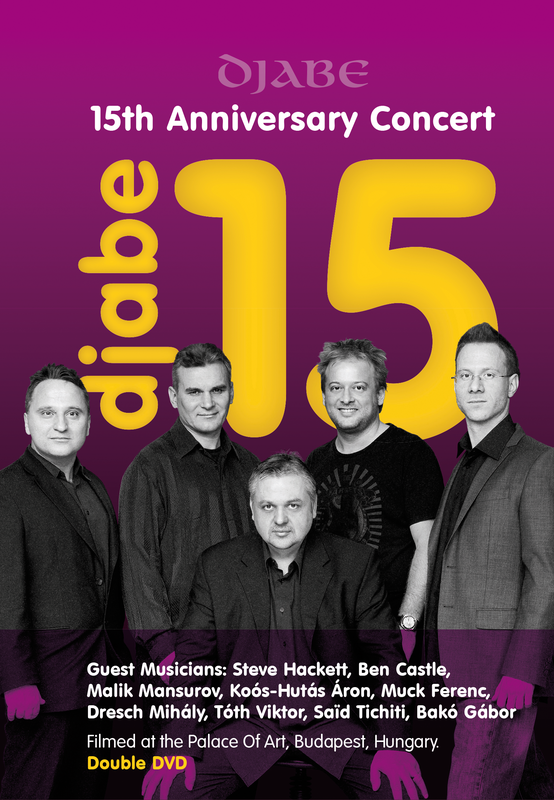 Djabe wanted to provide a thorough presentation of the first 15 years, therefore the most significant former members and featured musicians were invited to participate at the concert. Passed András Sipos, founding member of the band played together with the band on recordings. The performance lasted 3 hours without intermission, which found its way to the DVD. According to the band, it had been their best concert ever. Consequently, the release of the show is their best live recording as well. Disc 1 contains the concert with stereo and 5.1 sound. The aspect ratio is 16:9. The disc has no region code and is made in PAL system. Disc 2 features the history of Djabe. An interview was made with the band by author László Zeke, who experienced the story of the band at first hand. The interview is illustrated and complemented by numerous footages most of which has so far been unseen by the public. An interview was made with the musicians taking part at the rehearsal on the day before the concert. Gábor Bakó, Ferenc Muck, Said Tichiti, Áron Koós – Hutás, Ben Castle, Steve Hackett and Malik Masurov relate their experiences and stories in connection with the band. The combined length of the two documentaries and the extras make up more than four hours. Therefore, watching the complete Djabe 15 double DVD requires a whole working day including a lunch break, namely 8 hours.